Ambassador Galt hails from Fort Collins, Colorado. She attended Colorado College, graduating with a B.A. in political science, history and languages. She also earned Masters’ degrees from National Defense University and Johns Hopkins University’s School of Advanced International Studies (SAIS). She was awarded an Honorary Doctorate of Law from Colorado College in 2016. Galt joined the Foreign Service in 1988. Her first overseas assignment was as the Assistant Cultural Affairs Officer (ACAO) at the U.S. Embassy in Belgrade, Yugoslavia. In 1992, she spent two years studying Mandarin Chinese, and was assigned in 1994 to the American Institute in Taipei, Taiwan. She served as the Assistant Public Affairs Officer (APAO) at the U.S. Consulate in Mumbai from 1997-2000, followed by three years as the ACAO at the U.S. Embassy in Beijing. She continued her public diplomacy work in China as the PAO at the U.S. Consulate General in Shanghai 2003-07. Galt then did a tour in Washington, D.C., serving as deputy director in the Office of Public Diplomacy in the Bureau of East Asia and Pacific Affairs. She returned to China in 2012 as the Consul General in Guangzhou, leading a team of more than 400 employees. Ambassador Galt is fluent in Mandarin Chinese and French; she also speaks Italian, Spanish and Serbian, and is still working on her Mongolian. She is married to the writer Fritz Galt who helped found a newsletter and later a website for Foreign Service spouses. They have two children. 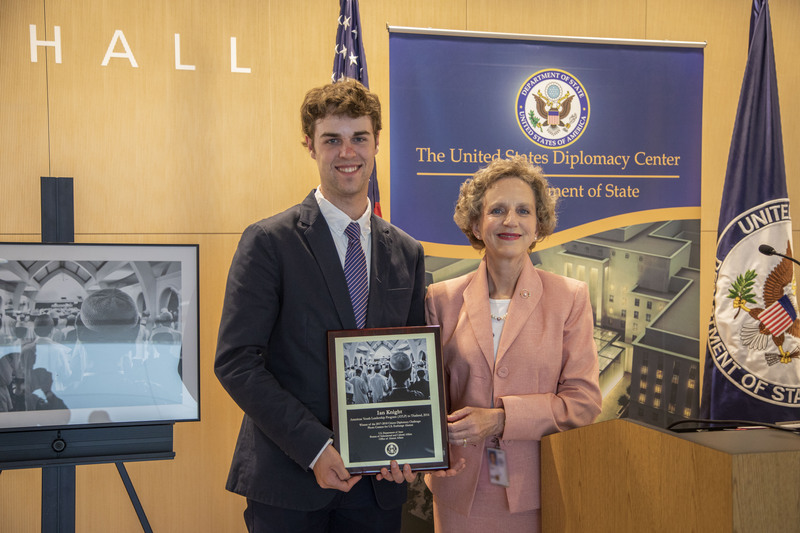 Join the International Exchange Alumni Citizen Diplomacy Challenge!